This week some real haunting music for you. 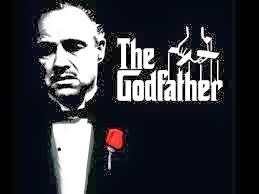 The Godfather is a 1972 American crime film directed by Francis Ford Coppola and produced by Albert S. Ruddy from a screenplay by Mario Puzo and Coppola. Based on Puzo's 1969 novel of the same name, the film stars Marlon Brando and Al Pacino as the leaders of a fictional New York crime family. The main theme of the film, ”Speak Softly Love,” by Nino Rota is well known and widely used and was also critically acclaimed. Here is the instrumental version of this song for you.